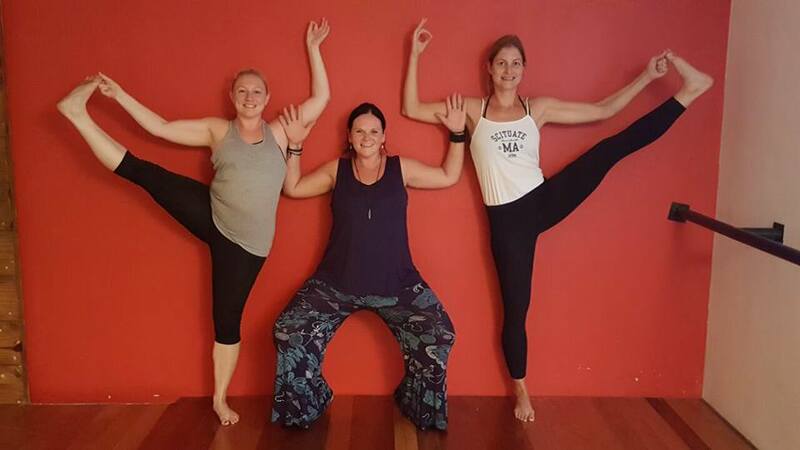 Rosalyne started her practice of yoga 25 years ago, inspired by the books of Swami Shivananda and Yogananda in 1989. In the beginning of 90's she continued her studies and practice of yoga on a regular basis, daily, in large groups and ashrams in Europe and later in Asia, thus becoming an experienced yogini and spiritual guide, with over 20 years of experience* (proven personal results of practicing yoga) in Hatha, Kundalini, Kriya and Tantra yoga, Meditation, being well knowledgeable of Jnana yoga and Advaita Vedanta. Through her spiritual practice, she has acquired a penetrating insight into the nature of being and existence, thus what she is sharing is not "books letter texts ", but her experiential and direct spiritual knowledge via highly efficient methods explained in modern terms, designed to allow one to transcend the daily existence and integrate it with success into the subjective existence. Throughout the years, she has specialized in solitary retreats, and dark room retreats 3-12 days, following the example of her Jnana and Advaita Vedanta teachers, Ramana Maharshi and other Jnâna Yogi, who consider the solitary retreat as the last and the most important in Yoga practice. When traveling and living in Japan, Singapore, South Korea, Taiwan, Rosalyne began her journey on the path of Buddhism and Tao, practicing their methods for years in Tokyo and Kamakura, Singapore, Seoul, sharing at the same time her knowledge in yoga with her Asian friends and students. Rosalyne has reached high states of spiritual realization, being able to offer a proven path to spiritual accomplishment and she does it in well-understandable and modern concepts, without the usual mystification which come with this sort of information. She is among those western spiritual guides well trained in Kundalini Yoga, Advaita Vedanta or Ayurveda, as well as in the highly spiritual Tantra Yoga, Kashmir Shaivism, Kriya Yoga, Tibetan and Zen Budhism, having the ability to give a comprehensible representation of the world's spirituality in a modern and practical form. Being among those exponents of a modern trend of thinking in Yoga, teacher of true ancient knowledge of India and Tibet, she is able to guide safely adepts toward and into the highest stages of Yoga, which culminates with Kundalini awakening and Siddhis, Samadhi and Enlightement, without failing. Her studies are of literature ( journalism) and psychology , and her interests of quantum physics and mechanics, philosophy of religions, specializing in Ayurveda, Tantra and Kriya Yoga, Kashmirean Shavism and Mantra meditation. She is a writer and an inspired poet , her mystical and philosophical essays and poems inspire the minds and hearts of the readers, giving them insight in the ways and heights of the heart and mind of a spiritual person. In the last period Rosalyne doesn't teach anymore large groups, choosing Yoga therapy for private and small groups of people in need of Yoga, and preparing new Yoga teachers to know the highest and real science of Yoga, beyond the all visible "gym yoga" trends, following the "Integral Yoga Teachers Training" course program, that she and Laurence created. Co-founder with Rosalyne, and Director of Chaitanya School Of Yoga in South Africa, LAURENCE has studied Hatha yoga,Vinyasa , Yin Yoga , Yin Yang Yoga , Mantra and Yantra Yoga (Raja), Tantra, Kundalini, Tibetan Yoga and Tibetan Vajrayana Buddhism, being a Master Yoga teacher and an inspiring spiritual guide . Gifted with a strong will-power, mental clarity, and deep intuition, he possesses what is called "genius of heart'', a genius of a pure consciousness, which makes him calm and tireless throughout his busy day and schedule, always smiling and happy, he inspires by his personal example , easy to talk to and very knowledgeable on most subjects from yoga and sports to real estate market and finances, many times with a great sense of humor and kindness. 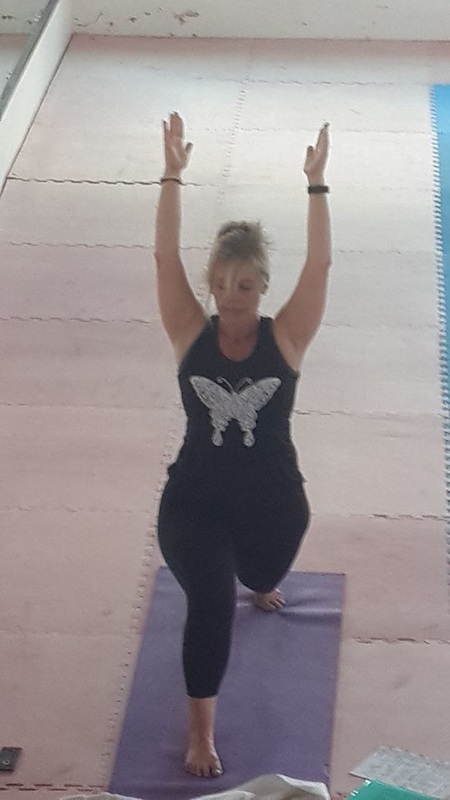 Laurence discovered the science of yoga after having suffered for many years with alcohol addiction, and whilst in rehab discovered the science of Yoga, Thai Chi , Chi Gong, and Vipasana (Zen meditation) , which has helped tremendously in his recovery. Now over 14 years free of any addictive substances Laurence has found a new way of life and thinking and wants to share his experiences with people who have or are suffering the same fate. He has dedicated his life to opening a new way for those desiring light and new horizons , guiding others along this pure spiritual path. 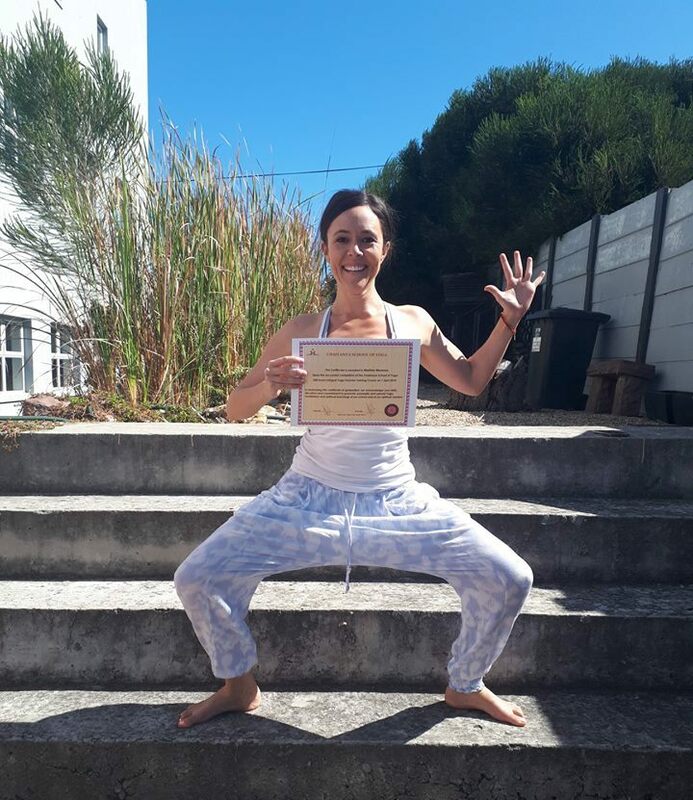 The serious approach of Laurence towards Yoga and its teachings, his devotion and passion to Yoga and, last but not least, his fresh sense of humor, make Chaitanya Yoga School a favorite place for practicing Yoga in Cape Town. Laurence says to his yoga students: " Be yourself, enjoy yourself when you're doing yoga, be still and have patience when you meditate, and your life will change for the best. Above all, persevere in your practice of yoga and meditation, and respect the yogic code of conduct Yama and Niyama, and your success will follow "
​" At the beginning of 2018 both of my kids were now at school, so I decided I need to find "me" again; and that's when I joined Chaitanya School of Yoga. Since then I completed my 200 hour Yoga Teacher Training with Laurence in September 2018 and it opened up a whole world of possibilities. I love the energy that is created from my own yoga practice, and therefore this is what I wanted to bring to the class I taught. 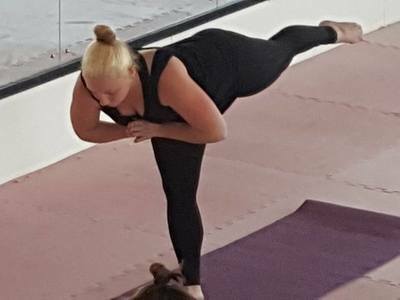 I want all those who attend the studio to feel centered, and to give themselves some self love for making it to their mat that day and starting a journey to a better self"
We always follow the values and practices of the classic Yoga in our classes. We are convinced that the millennium yoga tradition requires an appropriate attitude, in order for a person to achieve positive results. We pay attention to other similar doctrines too, but always considering the aims of Yoga, which are the freedom of a fulfilled life achieved on the way of self-awareness. We understand that the ideal of consciousness and awareness with respect to the different aspects of human nature is the essence of all Yoga styles and it cannot have as its alternative the numerous modern currents using the name “yoga”. 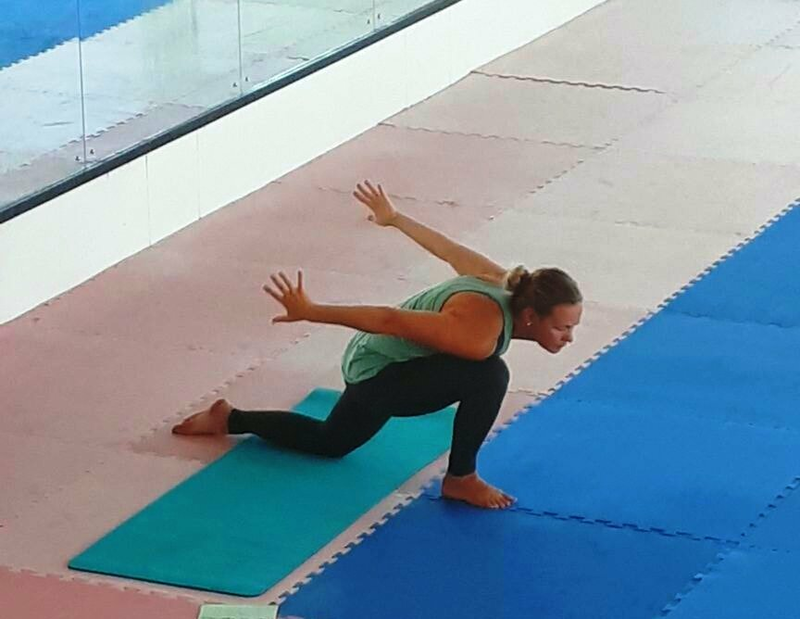 Often, and not without a reason, Yoga is likened to a science. We know that every science can be learned by hard studying and practicing. This conditional division into theory and practice can be compared to the two wings of a bird - without one of them the bird will not be able to fly. Similarly, in Yoga be it Indian or Tibetan, the theory and the practice have always been inseparable and the progress in one of them will not be possible unless there is progress in the other one as well. But when we speak of spiritual science, a third component has a deciding role, and that is the communication with a person who has already adopted the spiritual path in his life. The respected yogis Laurence and Rosalyne are exactly those sorts of Spiritual Guides. Their down- to-earth manner, clear mind, warm heart and understanding attitude, are real treasures for all of the people and students searching for guidance and insight, or simply for help.